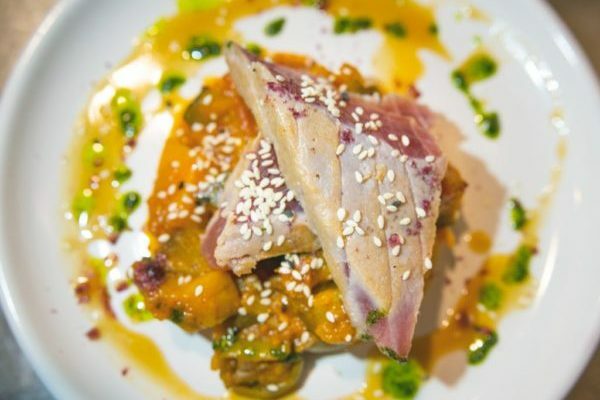 You may have heard a little buzz around Fish Thursday by some Brighton foodies recently. It is a relatively new evening hosted by Senor Buddha on Preston Circus in Brighton and occurs on the last Thursday of the month. The menu consists of four fish dishes, planned by head chef John Reed the day before based on what the fishermen bring in with a dessert to finish. 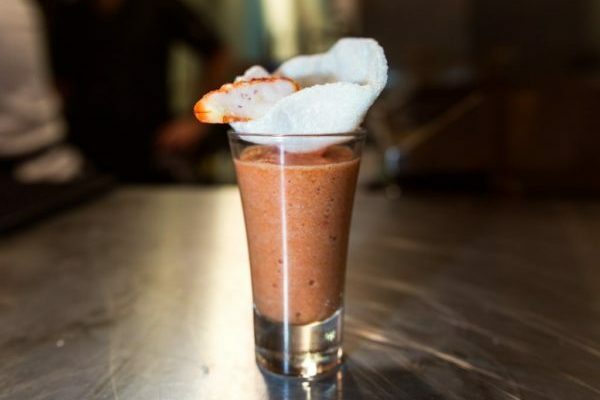 All dishes are created in the Asian Spanish tapas fusion that owner and chef Lee Shipley is renowned for. At £35 a head I think it’s incredibly great value based on the quality and of the food you receive. Senor Buddha is an intimate restaurant serving a tapas menu that consists of creative classic Spanish tapas dishes with an Asian twist. There are roughly just 20 covers in the restaurant, with seats at the open kitchen to watch the chefs cook. My friend and I were invited along to the early sitting at 6:15 (there is a later sitting at 8:30 also). 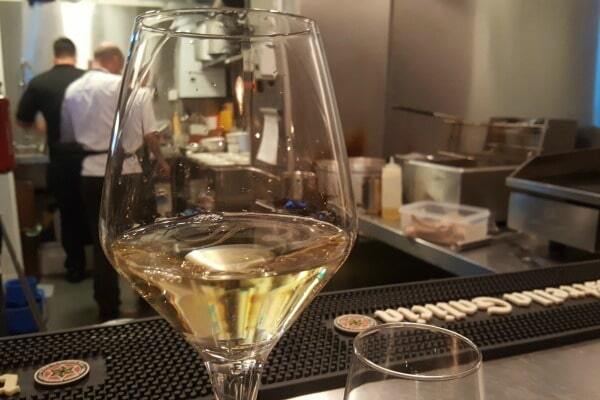 As we were punctual we were able to sit at the bar, which I would say is the best spot in the house to see the chefs at work. I hadn’t had a chance to see the menu beforehand which is a first for me, so I was very excited to see what was in front of me! 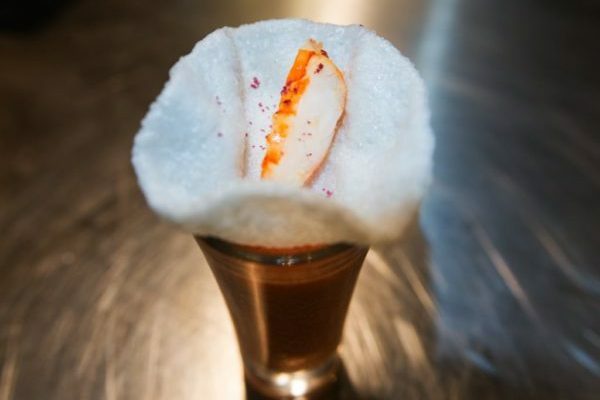 The first course to come out was a prawn gazpacho that was made with watermelon, tomato and had a slice of juicy prawn on top and a prawn cracker for dipping. It was fresh and zingy from the raw onion and garlic, and a fresh palate cleanser to start the meal. It was topped with a red rock salt that Lee told us was a red wine salt, made by reducing red wine right down with the salt until the liquid dissolves, and I thought it really complemented the watermelon base well. To wash the first courses down we were suggested the Casal Ventozola 2015 Vino Verde that was lovely and light and went well with the dishes. 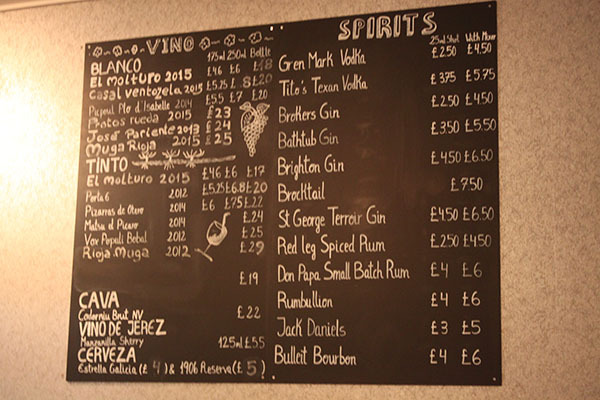 Senor Buddha have an excellent wine list from all over Spain with a couple of French wines to choose from as well. Next up was the Miso Gurnard ceviche that was light and delicate but still packed a punch in flavour. The ceviche was accompanied with thinly sliced red onion, chilli, micro coriander and red peppers and dressed with a subtle miso and orange dressing. 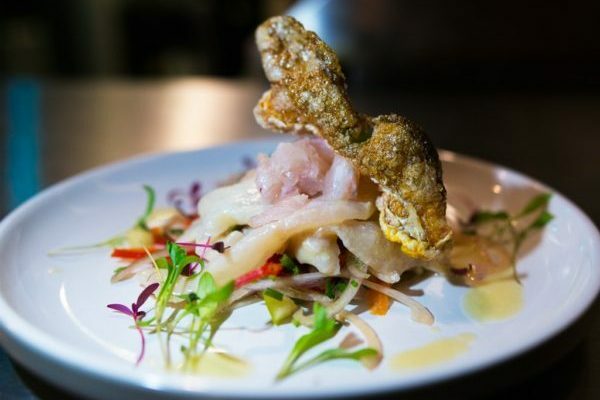 The dish was topped with a crispy piece of gurnard skin that was delicious, crispy and perfectly seasoned. I had never had gurnard ceviche before, but it really worked and was soft but still nice and meaty. By now we had finished our first wine, so Lee bought us a French wine to go with the next couple of courses. It was called Picpoul Plo d Isabelle and it was incredibly unique with a creamy body but very fruity and floral flavours. It was a bit heavier than the first wine, but a good match to the next dish. 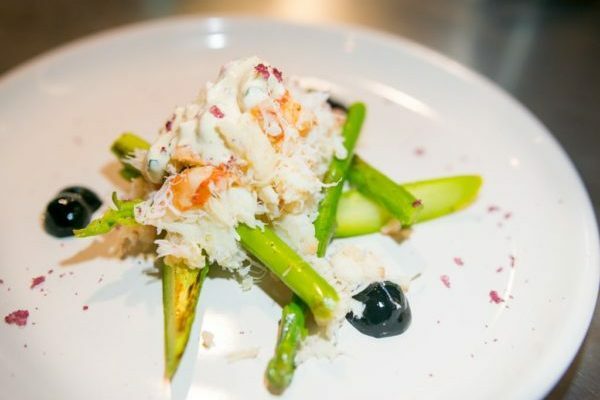 After a quick flash on the grill, we were served the next menu item – Asparagus, crab and prawn salad with Asian tartar. I forgot how much I love crab, this was super creamy from the mayo and had lovely textured prawns running through. It all came together nicely with the fresh asparagus, black squid ink dots on the plate and more of my favourite red wine salt, yum! For the next part of the evening my friend and I spent drooling over the grill, (not literally, don’t worry we weren’t allowed that close) as it was time for the octopus and seaweed potatoes. The potatoes had been cut into thick disks and vacuumed sealed before being cooked with seaweed and then browned on the grill. It was great watching the two chefs at work, their kitchen space isn’t very big but they kept cool and collected while plating and sending out the dishes. 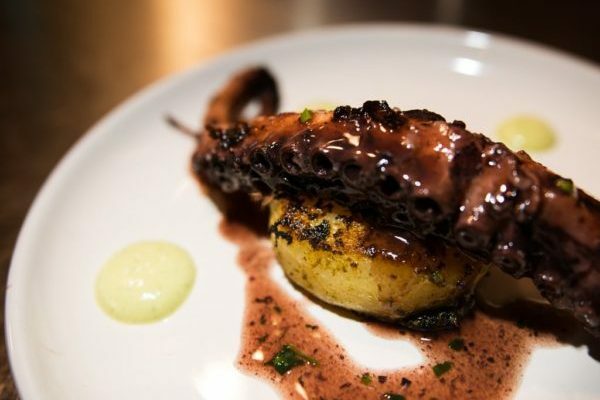 The octopus was served draped over the potato disk and was soft, tender and completely faultless. The potatoes were soft but still firm to bite, and the saltiness and taste of the sea from the seaweed really worked. It was dressed with a red wine jus, and a green sauce that head chef John said was made with coconut milk, green chilli, coriander and silken tofu and it added a nice freshness to the plate. For the final fish course before dessert we had seared tuna with honey and miso tumbet. There was a very generous portion of tuna atop the tumbet which is a medley of Mediterranean style vegetables, but the twist was that it was dressed with miso and honey instead. I love tuna that is seared ever so slightly and still raw and this didn’t disappoint. We were served a lovely glass of a 2014 Spanish red – Pizzaras de Otero that was smooth and well rounded and very easy drinking! 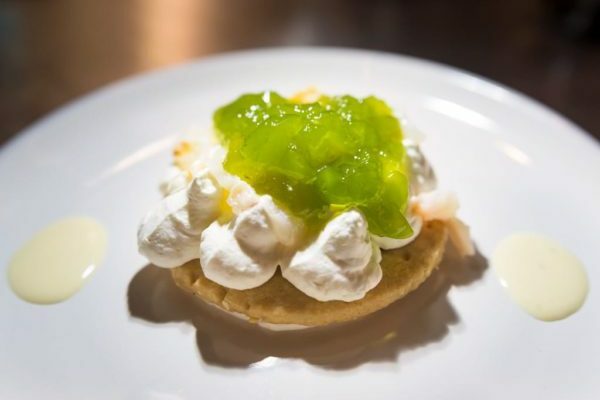 Last up we had dessert, that was lychee with cream, sesame shortbread and Thai basil jelly, and then my favourite surprise of the night – a creme anglaise infused with kaffir lime! Mine didn’t come with shortbread as I am gluten intolerant, but my friend said it was absolutely delicious. The whole dish was a pleasant finish to a lovely meal. I finished feeling very happy, not too full as everything we had was fresh and light and nothing too heavy. We were both completely satisfied and left with many thanks before the next sitting arrived for the chefs to do it all over again. 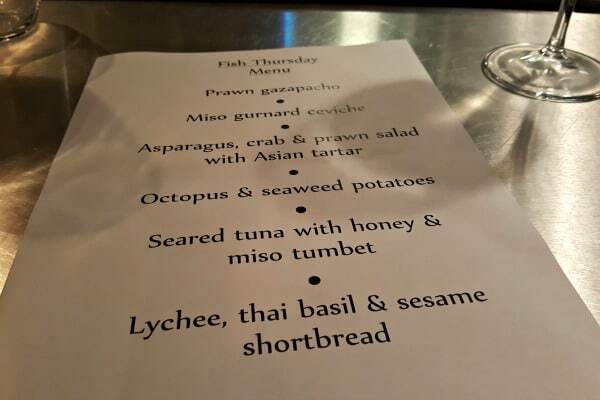 If you love seafood, and want a night out that is something a little different to your usual evening, then I would definitely recommend booking onto the next Fish Thursday that Lee announces as it won’t disappoint! 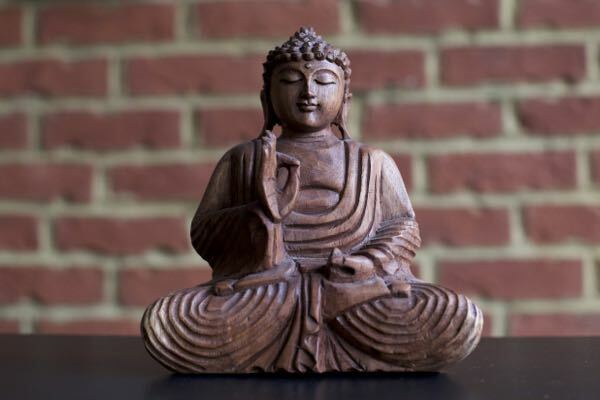 Thanks Senor Buddha for a wonderful and I will definitely be back again soon.